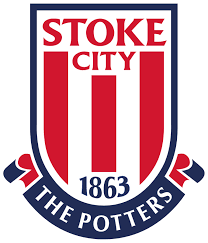 The 2nd oldest professional football club worldwide, Stoke City F.C. dates back to 1863 when it was known as the Stoke Ramblers. It was not until 1925 that the club changed its name to Stoke City and went on to become one of the Football League’s founding members. Stoke City is currently playing in the Barclays Premier League after it won a promotion in 2008. The Stoke-on-Trent area is known for its pottery industry, and as a result the club has earned itself the nickname ‘The Potters’. The camp is open to all Soccer Players from any club between the ages of 10-16. The program will be overseen and run by a senior member of the Stoke City Academy coaching staff and will consist of coaching methods and drills from the Stoke City Academy, with each player receiving a complimentary camp shirt. Players excelling at this camp will will receive an invitation to the Stoke City FC National Residential Camp, which takes place Summer 2018 at Darlington School - Rome, GA. Players excelling there will be invited to England for a Stoke City Academy experience.